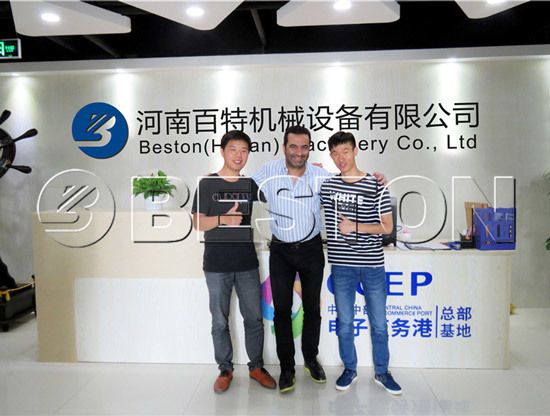 Beston Group was founded in 1998, which is an innovative and high-tech enterprise, incorporating research, manufacturing, sales, service, import and export. We are committed to environmental protection industries, and all of these products have been certified by CE, ISO, etc. We have been specializing in the production of recycling production line, solid waste separation, including: waste tyre, rubber, plastic, oil sludge and medical waste pyrolysis machines,carbon black deep processing plant, biomass carbonization plant,waste oil distillation plant, municipal solid waste sorting machine, tire cutting machine,rubber powder production line and other waste processing plants. We Always take the “pursuit of excellent, keep improving” business philosophy, determined to solve solid waste in all corners of the world in the near future and create a cleaner, brighter, better future for later generations. Welcome to visit Beston Group.